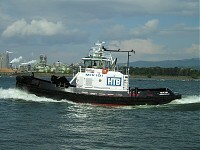 Two 105′ Pilot Boats built by Marco Shipyard of Seattle have Caterpillar 3508 twin main propulsion engines with integral Twin Disc MG-5301 gear isolated on the Soft-Mount package comprised of six BR4-TLS isolators and one 25 RT coupling per engine. 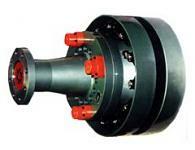 The Soft-Mount packages dramatically reduce noise and vibration in the vessel. In the lounge and mess located directly above the engines the noise is only 63 dBa at full power. Bob McMahon, MARCO’s shipyard general manager told Lo-Rez that “You just wouldn’t believe how quiet it is – as quiet as my living room! At idle rpms you cannot feel the engines are running, and can barely tell they are running during acceleration. It is the same in the lounge above the engine room. Our people are extremely happy with the results, as are the San Francisco Bar Pilots. “The Lo-Rez Soft Mount system has some complexity to it (during installation) but this is understandable when you realize its effectiveness,” he said. 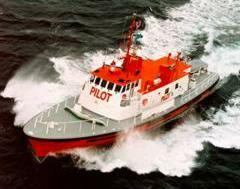 Pilot Boat Charlevoix operating in the Saint Lawrence at times in heavy ice, needed extra security against propulsion system damage when the propellors impact the ice. The Torque Limiter is attached to the gearbox output flange and the RT coupling mounted behind it on the propellor shaft. 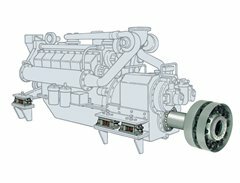 Most propellor impacts are absorbed with the flexibility of the RT coupling and for strong impacts or ice jammed in the propellor the Torque Limiter will release saving the gearbox and engine from damage.